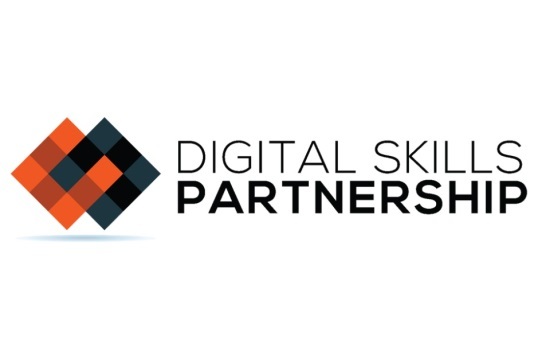 The Digital Skills Partnership was established for public, private and charity sector bodies in England to develop and deliver training that improves the digital skills of individuals and organisations as a whole. Demand for skilled workers in the digital sector is growing in the UK . The UK Department for Digital, Culture, Media and Sport has subsequently set up the Digital Skills Partnership to work on implementing the UK digital strategy. A multitude of digital skills training exist in the UK, so it is sometimes unclear to prospective learners and organisations which courses are best suited to their needs. An important part of the partnership’s work is to develop tools that can help identify digital skills needs through local partnerships and support more nationally coherent skills provision. The partnership is also tasked with predicting future digital skills needs in new and emerging markets. The first two local digital skills partnerships had started operations by the summer of 2018 as pilot projects covering the Lancashire and the Heart of the South West regions. Education and training providers can now collaborate within these local digital skills partnerships to avoid duplication of efforts and ensure training provision meets local needs. The partnership aims to raise digital skill levels of both adults and young people through basic digital training for beginners to advanced skills linked to specialist jobs. Skills provision is offered at three levels. Essential digital skills introduce adults and children to basic activities, such as turning on a computer and accessing services on the internet. General digital skills may be taught as part of the curriculum in schools, through workplace training or to adults who need to manage online accounts. Specialist digital skills refer to coding, artificial intelligence, cybersecurity and digital marketing among others. These more advanced skills may be learned in schools, colleges and universities, but also through non-formal learning activities in clubs or in the workplace, and are often related to specific job roles. Employer engagement is vital to the success of the partnership, and businesses have been involved from the start. Strategic input and insights from key businesses ensure skills provision matches the demands of local employers and contribute to growing the local economy. Business links are being made through local enterprise partnerships. It is further the remit of the partnership to enable small businesses and charities to raise the skill levels of their workforce. The partnership also aims to bring industry and other partners together to update teachers on the digital skills and knowledge they need to teach. 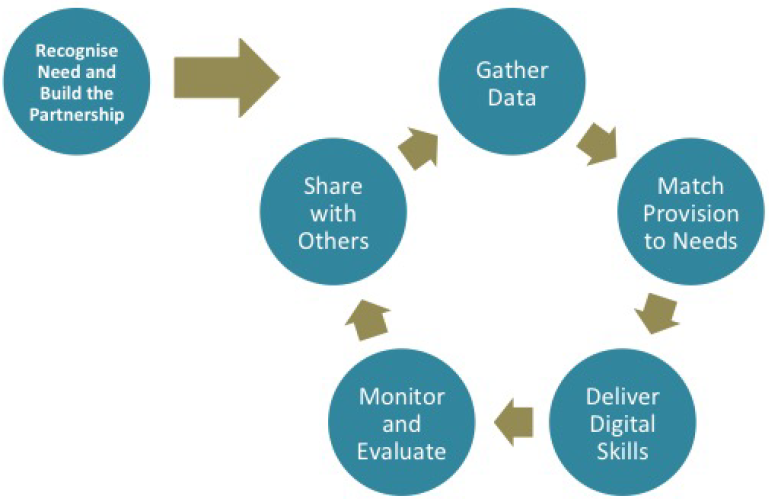 The digital skills partnership has created a work model comprising six main steps from recognition of skills needs, through delivering training, evaluating impact and sharing best practice, which aims to guide local partnerships. The guide – called a playbook – is a living document that may be updated by individuals and organisations participating in the partnership. Tech Nation (2015). Business structure database.